South London based rapper Little Torment keeps his foot on the gas as he doesn’t let up on his consistency or musical output this year. 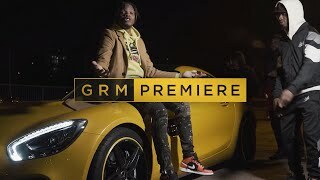 He has impressed and served reminders as to what he brings to the discussion of road rap’s brightest talents – tracks such as Issa Rip, No More and a Safone collaboration on London 2 Brum are proof of this. Not to mention Way Up, a wavy collaboration with famed vocalist Sona. This time around, he has dropped the video to No Time, which finds him constantly on the go as he describes how he can’t get any time for priorities and distractions alike. Produced by JB Just Business and JC Beatz, Little Torment finds many pockets on the instrumental as he talks down on his haters and highlights his need to hit the booth and make flips in order to acquire money. 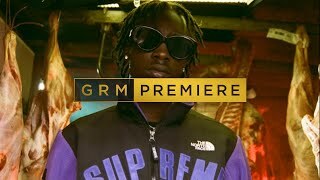 The Link Up TV produced video shows the Scummy Records signee going from the roads to the street lights as he flexes while showing a more conscious side to his character. His ability to paint pictures hasn’t waned. ‘No Time’ is the fourth track to be given the video treatment off of his ‘Traphouse Diaries’ project released last May. Wtach the video above and let us know what you think.